NRA is running a Magpul raffle on Facebook. Obviously you’re not paying anything to enter the raffle, but you’re giving them your contact info, which helps increase NRA’s reach. They are also, with the upcoming election, they have announced a new Facebook App, which is roughly the social media equivalent of a bumper sticker, in that it’ll dress up your Timeline banner. 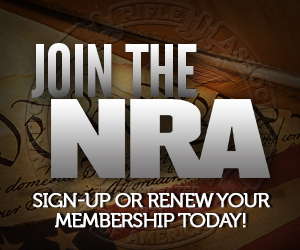 I give NRA a lot of crap for technology disfunction, but this is a pretty good effort, and innovative. Certainly you don’t see any of the gun control groups doing anything like this. I added it to my Facebook image right away. Very nice job by them. Maybe I misunderstand what you’re referring to, but as far as contact harvesting goes, I see everybody doing the same things these days. In terms of anti-gun groups, I know I wound up on CREDO Action’s email list, at my old address, as a result of an attempt to subvert one of their online “petitions.” I have become quite shy about making internet contact even with nominally “friendly” cites. I would put that in the realm of possibly misunderstanding. You’re talking about contact harvesting from something inherently political – a petition. He’s talking about things that people actually want to join/enter like raffles for free stuff. In other words, we have a “fun side” of the movement – the shooting sports side – that pro-gun groups can utilize in order to get new people connected for any political cause that might impact them. What will the other side give away – an anti-gun part? My personal problem is, I have had so much exposure to the cynical attitudes and practices related to contact harvesting — I’ve known of major intrigues surrounding supposedly allied groups stealing each others lists — or, the theft of a certain presidential candidate’s lists — that I have kind of a negative reaction to something that can be very benign or even (as you cite) beneficial.